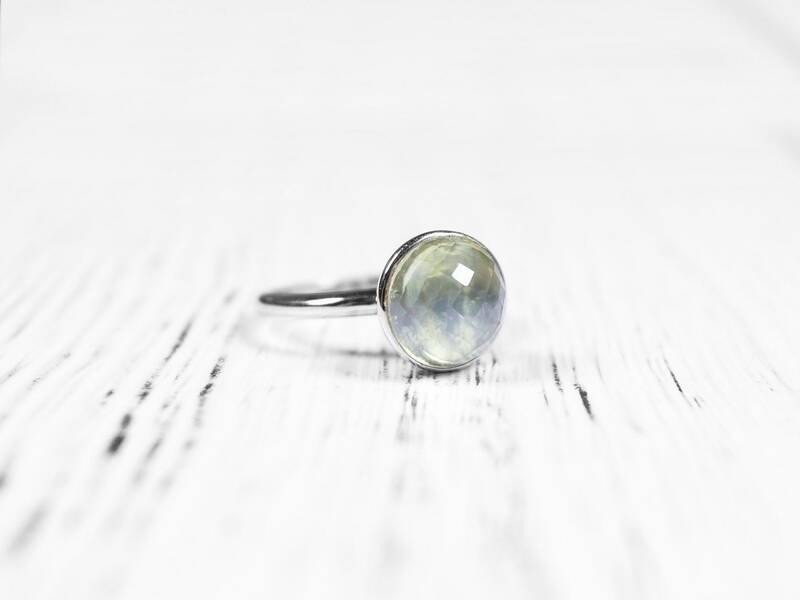 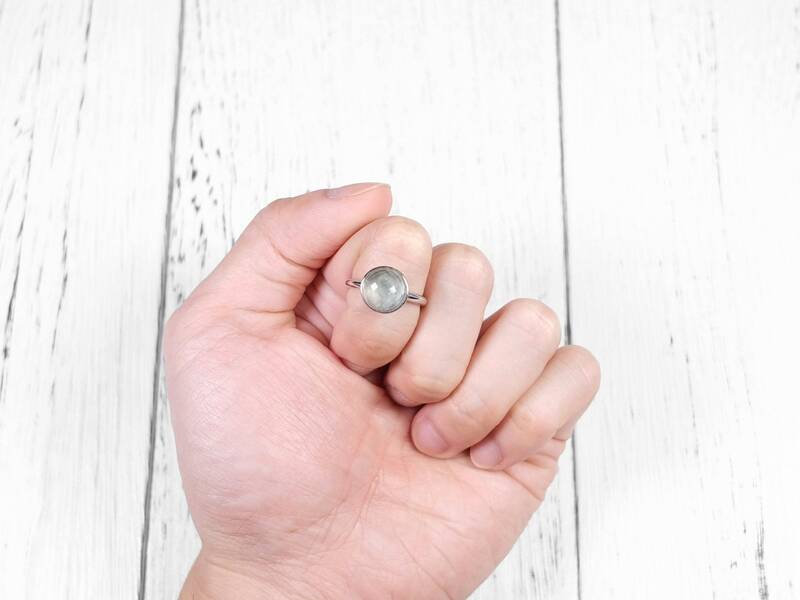 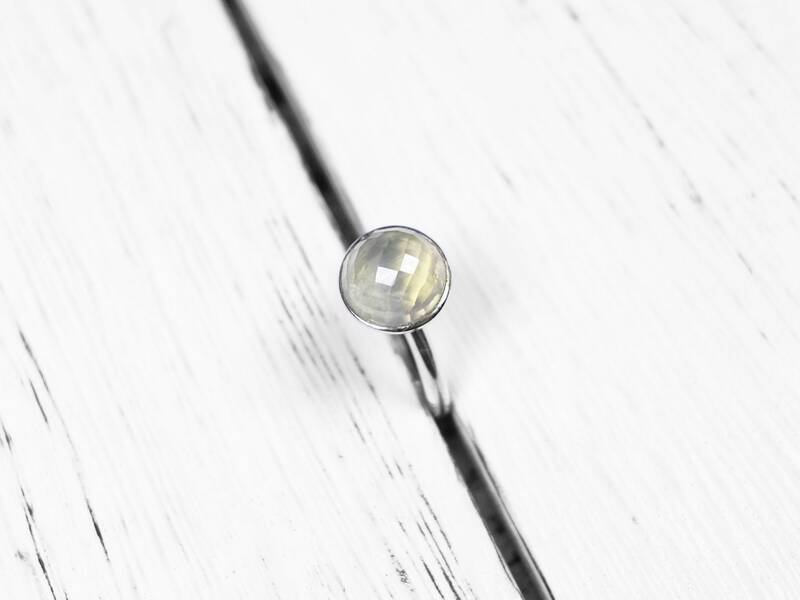 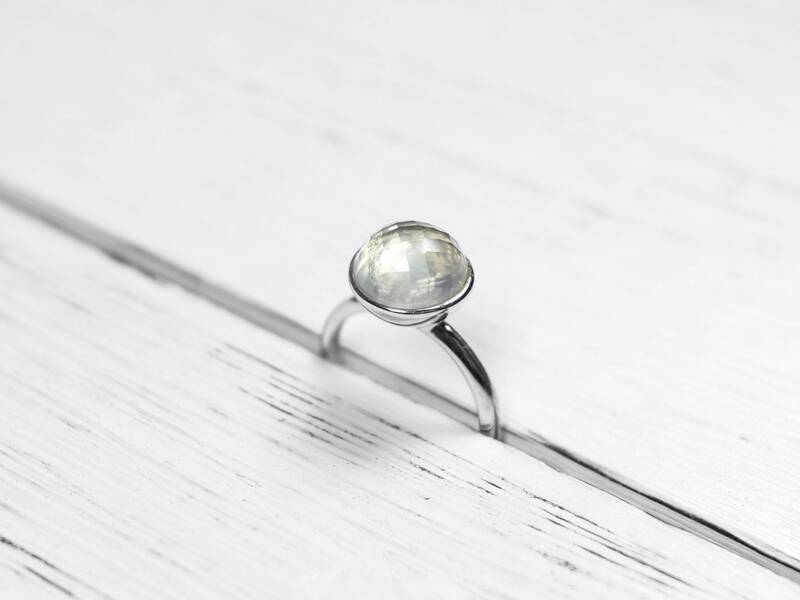 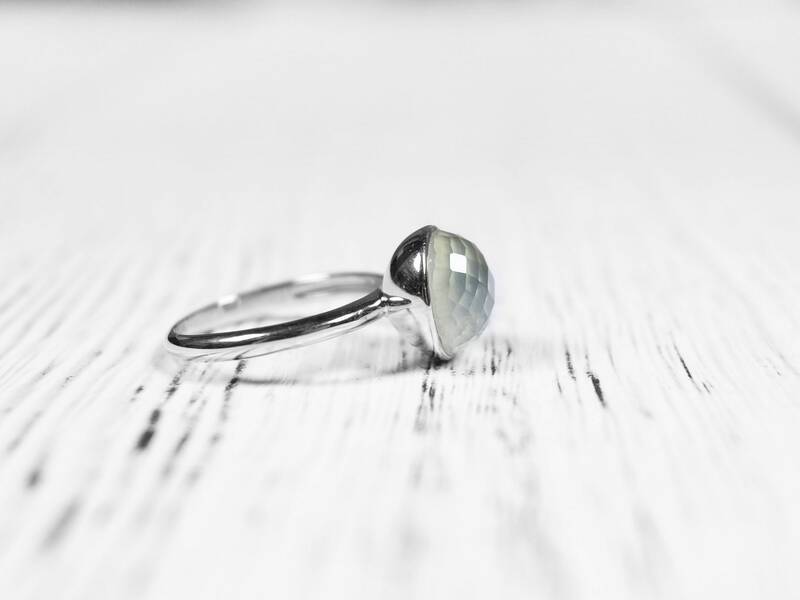 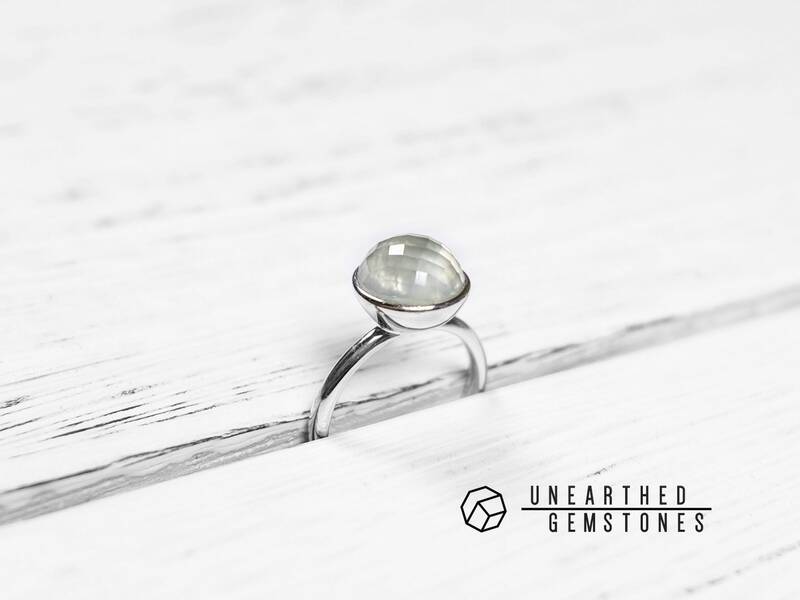 This ring uses a natural and genuine prehnite. 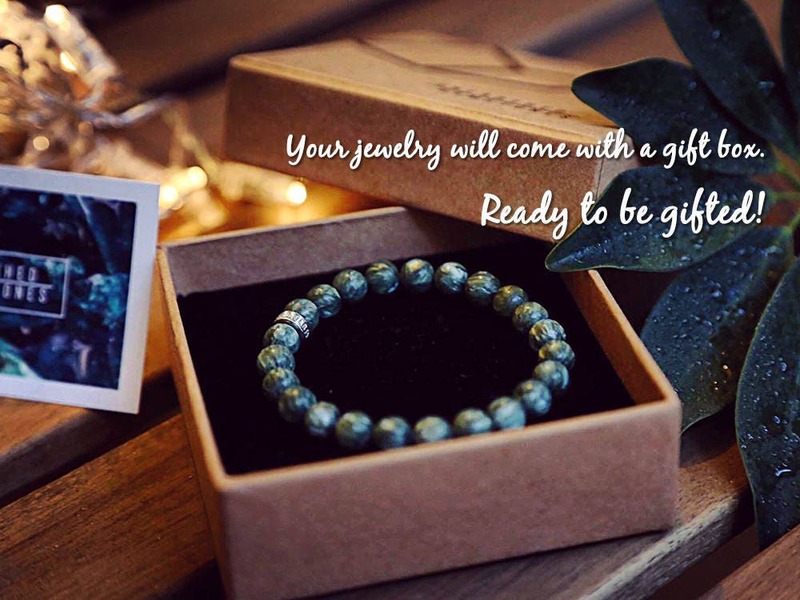 The color is a mild mint green and the crystal is faceted. 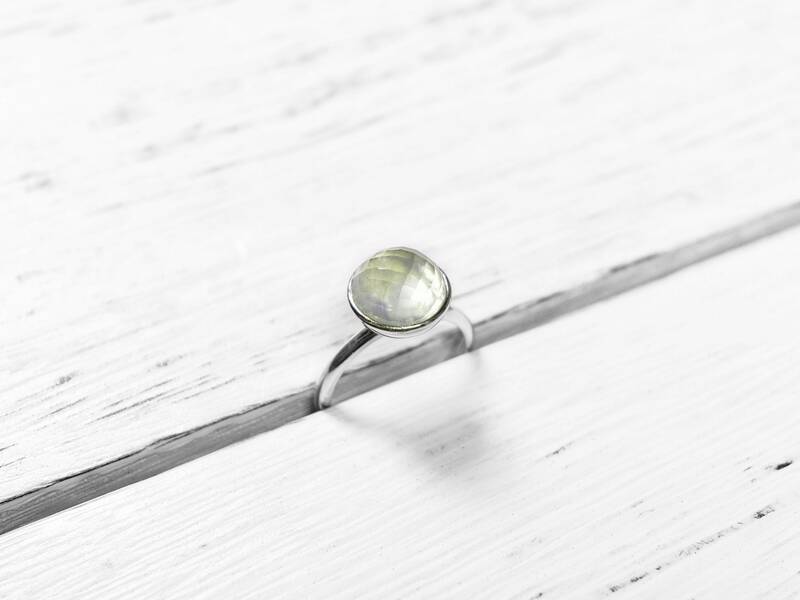 Very good quality prehnite with only small fractures inside the crystal. 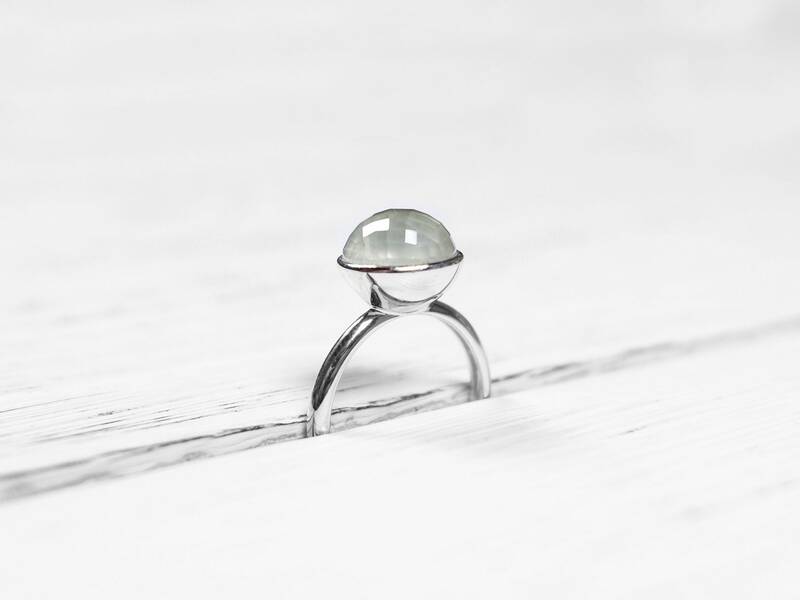 The architectural design matches the dome-shape cut prehnite with an inverted dome-shaped sterling silver base. 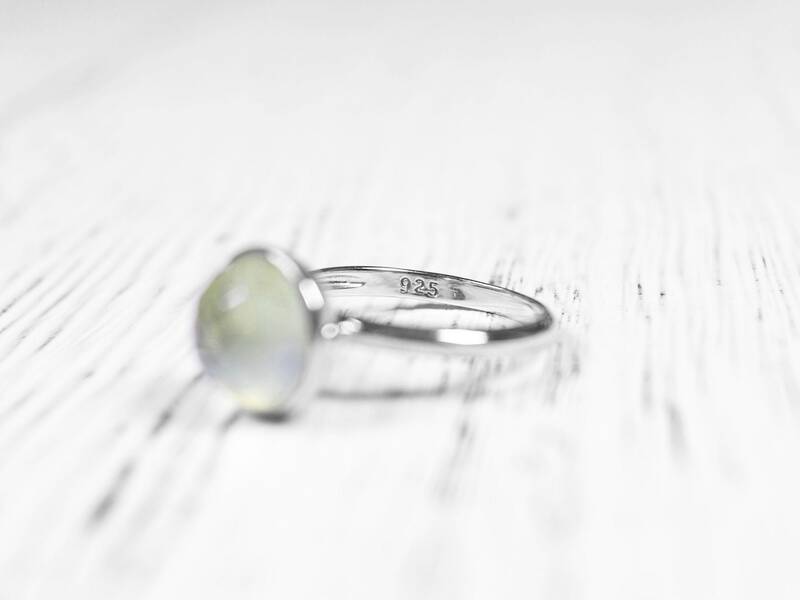 The ring size is US size 7.